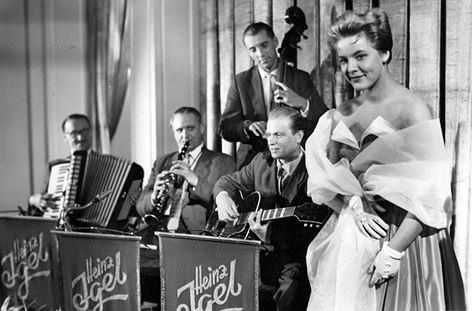 In fact, she became the favorite actress already at the beginning of her film career, literally the day after the release of the film “A Berlin Romance” in 1956. The beginning actress, Annekathrin Burger received the main role in the film. 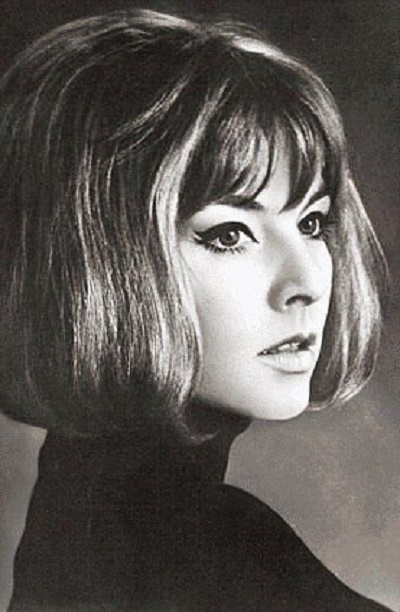 Born Annekathrin Rammelt on April 3, 1937 in Berlin, the future actress grew up in the village of Hornhausen of Saxony, because her family had to flee burned Berlin. Not differing from the village children, the girl however, enjoyed drawing. Meanwhile, at the end of the school, when asked about future profession in the questionnaire, she wrote: “I would like to become an actress, but my favorite occupation is drawing.” And now, on the advice of her father, an animal painter, a book graphic artist Heinz Rammelt, Annekathrin entered the Applied Arts School in Bernburg. Three years later, she was already working as an assistant to the theater artist in the city of Weber. But washing the brushes and making posters she had little to do with the actual art. And still, she got attached to theatrical life. After a while, Burger becomes a requisitor, and several times even played in mass scene in L. Essel’s operetta “A Girl from the Black Forest”. This forever infected Annekathrin with an inexpressible sense of joy of being on stage, and communicating with the public. Thus, comes the firm decision to become an actress. Secretly from all, the eighteen-year-old girl tries to pass the entrance examination the State Acting School in Berlin. She passed the first exam, but failed the second round … . Fortunately, the cinematography turned out to be lucky to Burger. 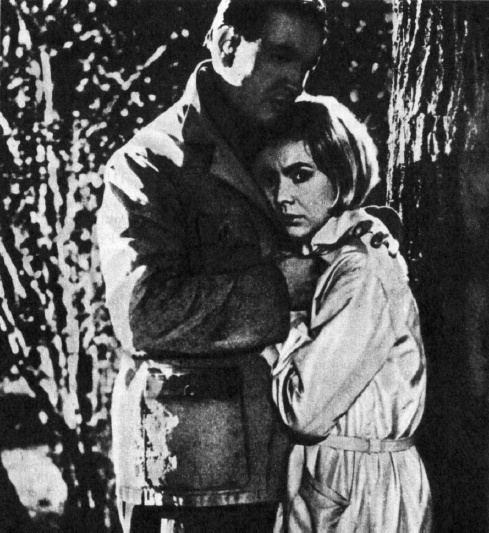 Quite by accident, in the summer of 1955, she became acquainted with the cinematographers of Czechoslovakia. 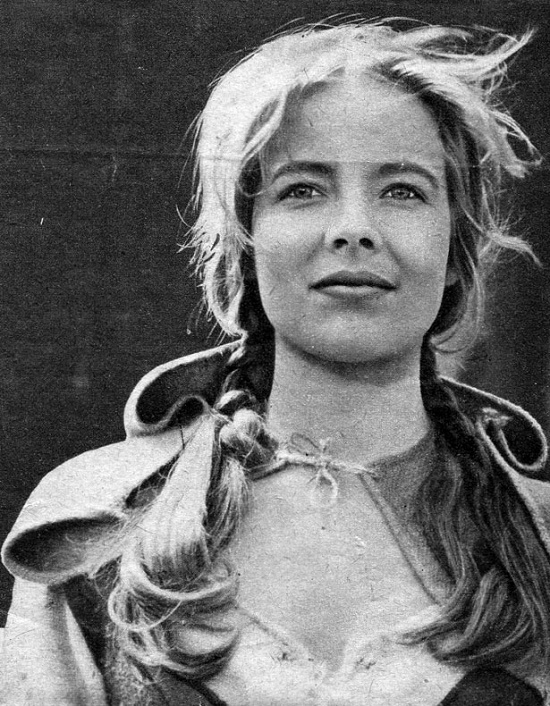 They shot the film “The Sea and the Mountains” in the Eastern Germany, the first German-Czechoslovak popular science film. The plot of the scenario was the journey of a group of pioneers, and to the proposal to star in a small role of a pioneer, Burger immediately agreed. Here, on the island of Rugen in the Baltic Sea, she is for the first time in front of the camera lens. Meanwhile, this debut in the movie lead to a more important moment in the biography of Burger. It is here, in Rugen, in a local restaurant, she accidentally meets with director Gerhard Klein. As in a bad scenario, the life of Annekathrin changed, like in a faity-tale. Klein was looking for a leading role in his new film about the life of the GDR youth. 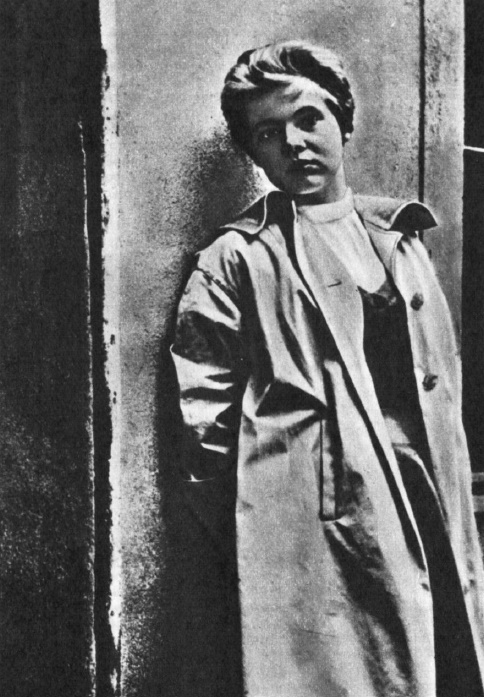 In particular, Klein needed a type of modern girl from democratic Berlin. Hundreds of applicants came, but Kline chose Rugen, the future performer of the role of Ushi. 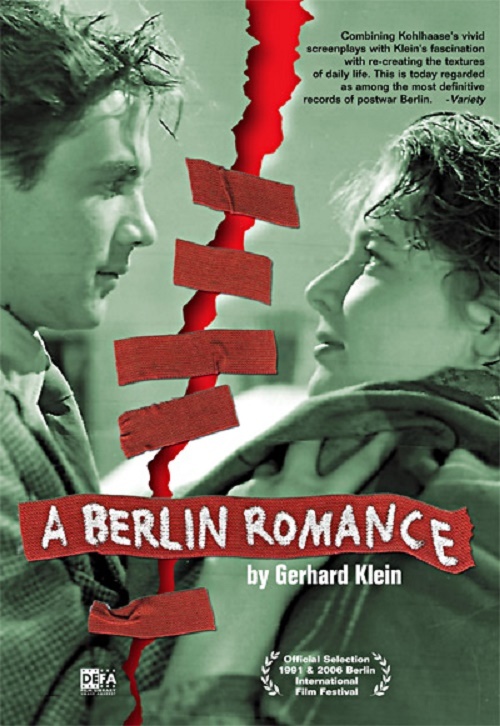 In fact, “A Berlin Romance” took an important place in the cinema of the GDR for the formation of a new man building a socialist society. Not the border separates Ushi from Hans (actor Ulrich Tyne), but the difference in worldview. Unemployed Hans lives in West Berlin, and Ushi lives in Berlin in a socialist country. The film concentrates our attention on the love story of Ushi and Hans, largely depending on the entire political situation. The idea of the struggle for a loved one, proposed by the authors of “A Berlin Romance” inspired Burger. After such unexpected success, Annekathrin Burger made the most reasonable conclusion: to enter the Higher School of Motion Picture Arts in Babelsberg. 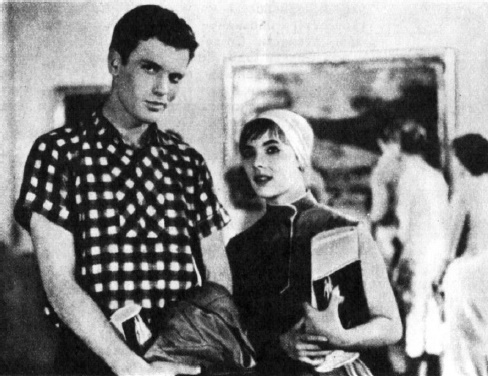 Even before the release of the film on the screen, in February 1956, Annecatrine became a student. On the student scene, she tries herself in many, different roles – from Marion in the “Death of Danton” by Buchner to Chekhov’s Nina Zarechnaya. No less diverse tasks Burger faced in the cinema. Once again, she plays herself in the short film “Little Fish” from the movie program “Porcupine” (her character called Annekathrin). And then follows: Traudel in the film “Footprint in the Night” (1957), a peasant girl Anna – a friend of the great German artist XV- XVI centuries Tilman Riemenschneider (1958), Inga (Reporting 57, 1959). 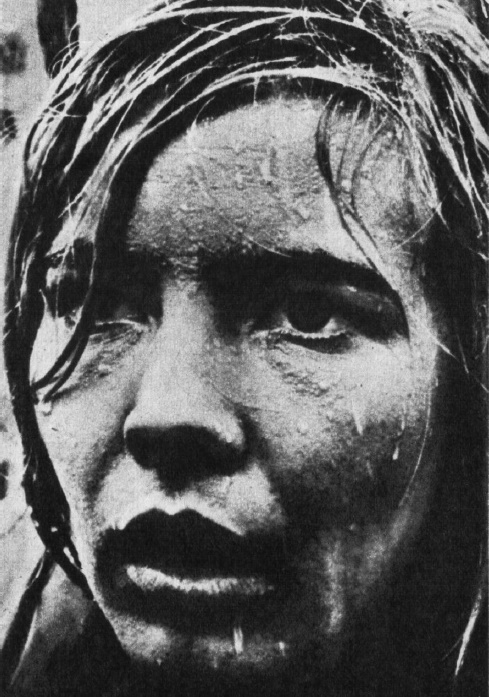 These films can not be attributed to the successes of the GDR cinematography, and they did not bring any particular success to Burger, but undoubtedly contributed to the growth and strengthening of her acting experience. The most important result of the school years is the maturation of not only the actress, but also the person, the citizen of her country. According to Burger herself, in High School she realized that it is not enough to just own an acting profession. You need to know the historical and social laws, and it is necessary for the whole being to feel “immersed in an era”. Besides, Burger considers one of the drawbacks of learning to be a movie actor – the lack of a constant connection with a certain theater. Because only on the stage the future artists could practice the basics of their difficult craft. 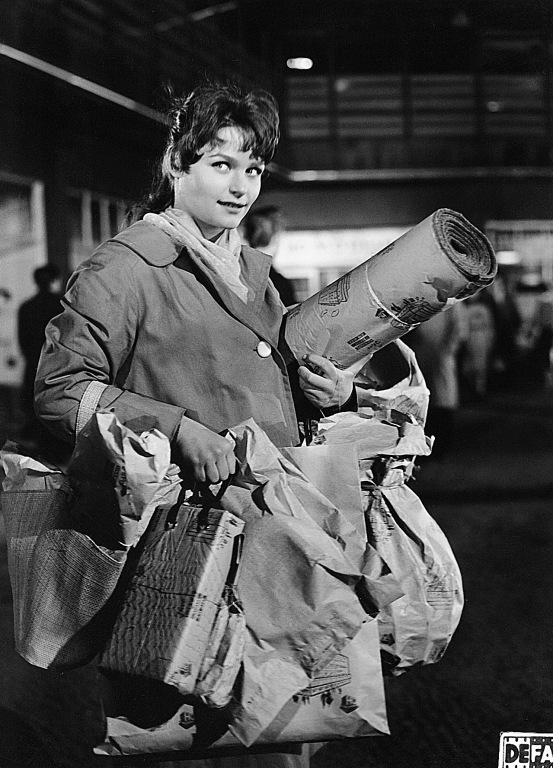 And at the end of the Higher Film School in 1959, Burger comes to the scene of the famous theater of the GDR – German Berlin. 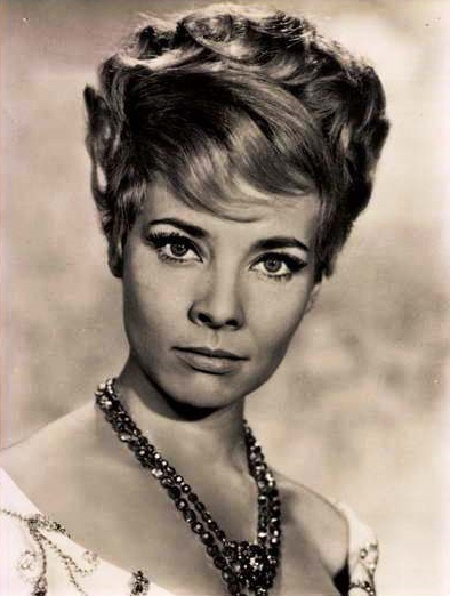 The same year, Annekathrin appeared in “Love’s Confusion” (1959) in the main role of the student-artist Sonya. For a young actress, the participation in this film Directed by Zlatan Dudow, the leading German filmmaker, was especially fruitful. Unfortunately, “Love’s Confusion” became the last film of the great director. Dudow willingly worked with young actors, but was very picky about the selection of performers, and therefore the invitation to Burger to play the role of Sonya became a recognition of her talent and increased skill. The “Love’s Confusion”, for all its seeming insignificance, was an extremely modern film. It touched many important problems of the life of the GDR. The experience of working on the image of Sonya once again convinced Burger of the need for a much more profound and, above all, intensive possession of acting art. For this, she comes to the theater without breaking with the cinema. In the Berlin German Theater, Burger works just one season. After an episodic role in “Rose Virgin Soil” and a small role of Renata in Wangenheim’s “Student Comedy”, Annekathrin willingly moves to work at the Senftenberg Theater. In the youth team, led by a talented young director and actor Klaus Hendris, she immediately received several major roles. Among them – Lutsietta in Goldonie’s “Chioggia,” Emilia Galotti in the Lessing tragedy of the same name, Amalie in Schiller’s “Robbers”, Clerchen in Egmont Goethe, and Katharine in Shakespeare’s The Taming of the Shrew. Also, Rosa Bernd in the Hauptmann drama of the same name, Katya in “The High Wave” by Dvoretsky, Nadezhda in the “Kalinovaya Roscha” by Korneichuk, and Valya in the “Irkutsk history” by Arbuzov. That’s far from an incomplete list of images created by Burger for three years in Senftenberg. In them the main line of her creativity was the creation of active characters, able to fight for their own happiness, and for the happiness of all women. In a short period, Annekathrin has dramatically changed even externally. There was nothing left of the simple-minded Ushi of “A Berlin Romance” with a short-cut, slightly shaken up mop of light hair, a round half-childish face, a somewhat naive thoughtful gaze. Burger’s indignation also reflected in her appearance: her facial features somehow lengthened, they became more pronounced, and before us was a young woman who thought about her place in this world. 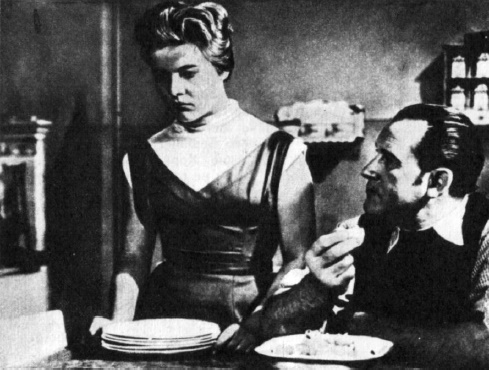 In 1961 she performs the role of Catherine Bayer in the Soviet-German film “Five Days – Five Nights”, staged by Lev Arnshtam. The film, based on the historical fact of the Soviet soldiers rescuing the treasures of the Dresden Gallery in the last days of the war. However, the story of Catherine is a kind of film in the film. Burger recreates the dramatic fate of a young woman who did not bend before Hitler’s barbarism. 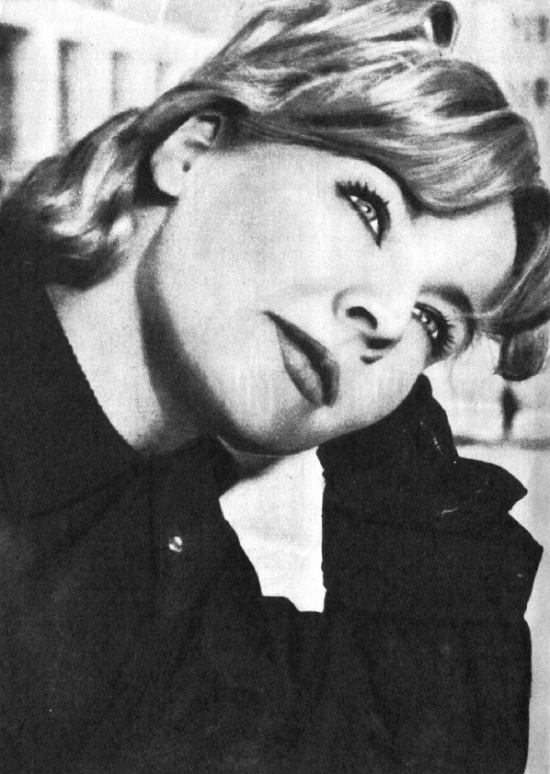 And the same year, Burger starred in the movie by Kurt Maetzig “September Love” (1961) in the role of Hanna – a clear antithesis to the main creative line of the actress. 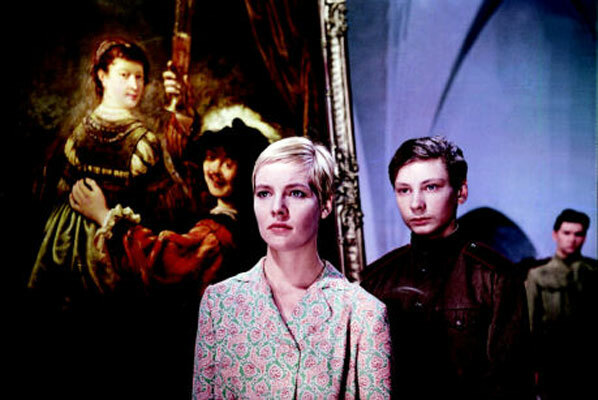 In 1962 Annekathrin Burger creates an image of Mary Magdalene in the film “The Royal Children” directed by young Frank Bayer. This is the first actress’s work on the role of a conscious, active fighter against fascism. At the XIII International Film Festival in Karlovy Vary, the film received a prize. After the “Royal Children”, Annekathrin Burger began to pay more attention to work on television and in the theater. Noteworthy, invited in 1963 to the Berlin People’s Theater, she worked there for many years. 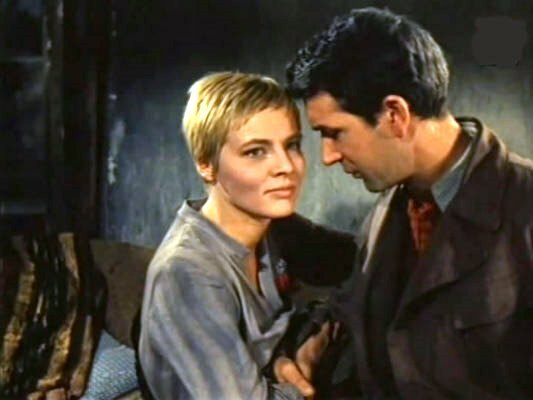 However, her work in the film “The Second Track” (1962), as well as in the joint German-Yugoslav film “The Assassin in Leave” (1965), according to critics, can hardly be attributed to the accomplishments of the actress. 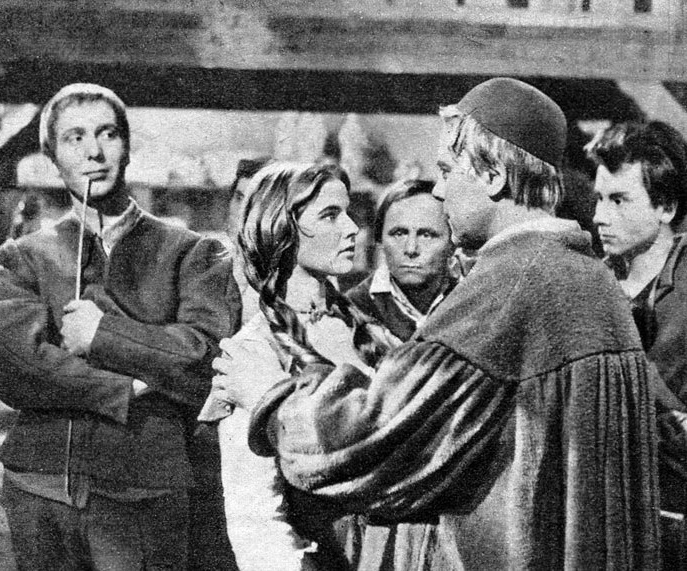 The same can be said about the adaptation of the musical on Shakespeare’s Twelfth Night, where Burger played the part of Olivia (1965). After a rather long break, caused mainly by the large employment in the theater, Burger returned to the cinema again. In 1969, there were two films with her participation, and the film, completely different in nature and subject. 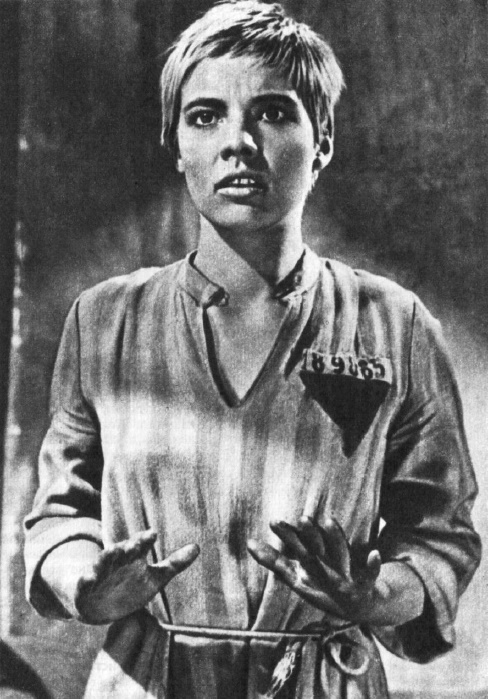 In the adventure film “Mortal Error” she played the role of innkeeper Caroline. The time of the film – 1896, it tells about the robbery by white dealers Indian tribe, who owns oil-bearing lands. Another film – “Hey, you!”, Directed by director Rolf Röhmer, tells about the fate of a simple teacher, Ellen Folkman. After the unification of Germany, she plays mainly in the theater. 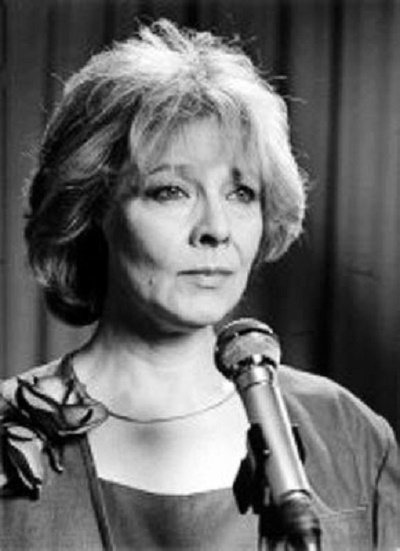 However, for many viewers, East German actress Annekathrin Burger entered the history of the young cinema of the German Democratic Republic.